Halloween has come and gone, the calendar has changed to November and we all know what that means: Holiday Shopping! 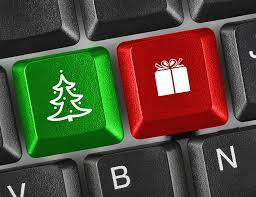 As the hustle and bustle of the holiday season begins to pick up, a number of us will choose to our shopping online. Although online shopping allows us to the receive same great deals while avoiding the long shopping lines and endless crowds, it also makes us more vulnerable to cyber criminals. However, just because there is risks involved doesn’t mean one has to avoid online shopping altogether. There are many ways one can protect themselves and get those amazing online deals securely. To find out how you can stay safe while shopping for your family and friends online, click on the link below.